The Annonaceae is a large pantropical family of flowering trees and lianas, and is classified into four subfamilies. 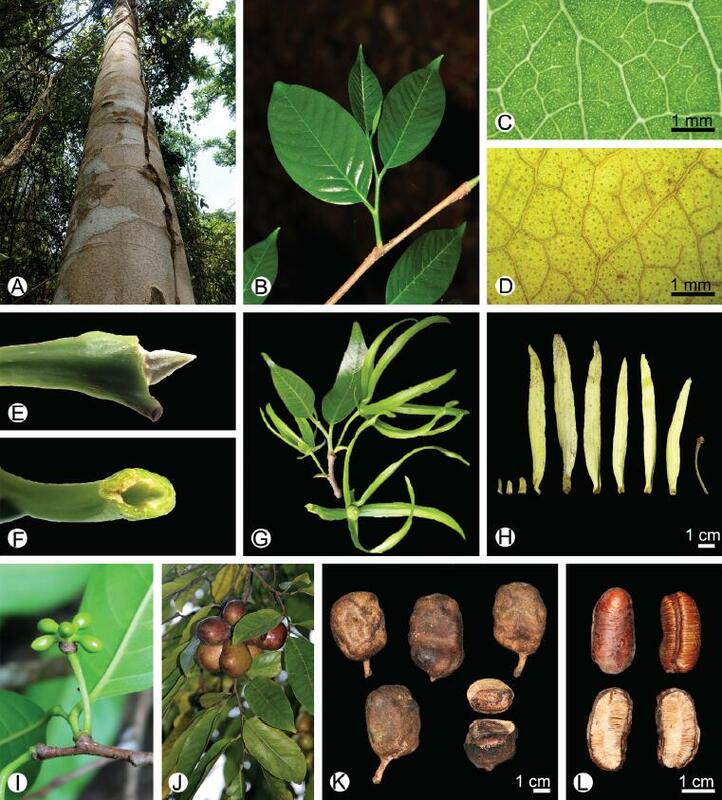 Recent molecular phylogenetic studies have clarified generic circumscriptions in the Miliuseae, the largest tribe in the Annonaceae subfamily and resulted in the segregation of disparate elements from the previously highly polyphyletic genus Polyalthia. 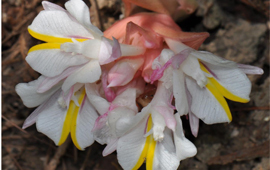 In a recent field investigation, researchers from Xishuangbanna Tropical Botanical Garden (XTBG) and South China Botanical Garden (SCBG) collected a material of P. litseifolia, which enabled them to conduct a molecular phylogenetic study to assess the taxonomic affinities of this enigmatic species. The researchers conducted detailed morphological comparison with related taxa, studied newly generated DNA sequence data and molecular phylogenetic evidence. They confirmed that it does not belong to Polyalthia, but falls within the same clade as a potentially undescribed genus that was previously demonstrated to be sister to the Neotropical clade in the tribe Miliuseae. They named the new genus as Wuodendron and got it published in Taxon. The genus Wuodendron is large deciduous trees. It resembles the closely related genera Desmopsis, Meiogyne, Sapranthus, Stenanona and Tridimeris, with which it shares petals that are more or less similar in shape and size in both whorls and the multi-ovuled ovaries. Wuodendron differs, however, in having subpetiolar buds and inflorescences growing from the axils of the circular leaf scars where old leaves have fallen. Wuodendron is named after Prof. Wu Zhengyi of Kunming Institute of Botany, who proposed the name of Polyalthia litseifolia, in honor of his great contribution to plant taxonomy. Wuodendron includes a single species. It is known from China, India, Myanmar, Thailand, and Vietnam; as well as in Cambodia and Laos. It grows in rainforests at medium elevations (750–1100 m). Field survey by XTBG researchers in Yunnan identified only five large trees. The researchers thus recommended that the species be regarded as endangered based on current IUCN red list categories and criteria. Morphology of Wuodendron praecox comb. nov. (= Polyalthia litseifolia).